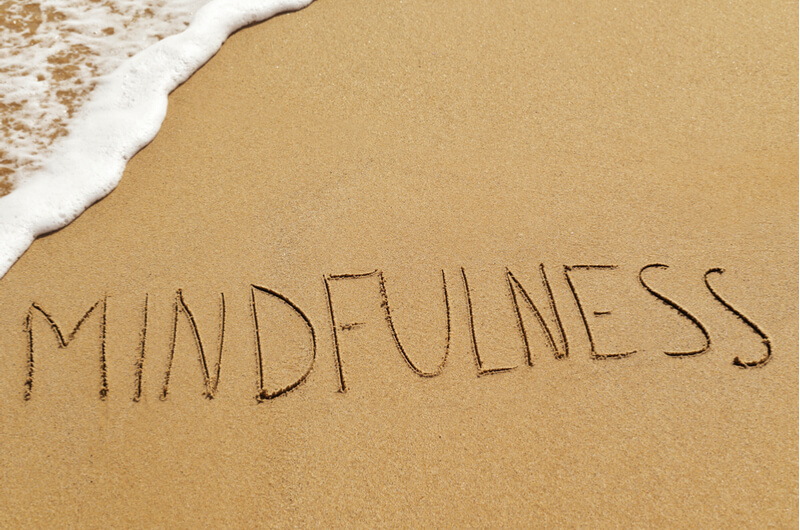 Most of you have heard of the term "Mindfulness" in one form another, and from seeing the word alone you probably have a basic understanding of its meaning. You've also probably read one of the great many books published yearly on the subject. What exactly is it? While a full in detail history is not the aim of this article a brief understanding will be provided. The aim of this post is not to feature an exhaustive list of full techniques or even a list of new ones, it is to give you an idea of some of the ways Mindfulness has been deployed by high performers in different areas in order to inspire your questioning on the subject.It will also give you idea of some of the research that has been done, and is still being done in the areas discussed. Mindfulness is an an ancient practise with roots in Hinduism and Buddhism. It's worth noting however that there are differences between the path of the development of Mindfulness in the East and West. As in the East the roots of Mindfulness can be traced from many Eastern religious traditions the roots of Mindfulness in the West are more Secular in nature emanating from specific groups or individuals. While other religions do employ Mindfulness as a practise in some way the majority of teachings come from the specific writings of Buddhism and Hinduism. From the Hindu perspective Mindfulness has appeared in many forms in many texts including the Bhagavad Gita where Mindfulness practises are extensively written about. There is a full range of discussion from Yoga to Vedic Meditation. In Buddhism there is a much more heavy emphasis on Mindfulness and less on sacred writings or beliefs than Hindusim. It's from this area that many modern Mindfulness techniques derive to the extent that many now believe most Mindfulness practictioners to be practising a diluted form of Buddhism. It's Mindfulness known as "Sati" that is the first step to enlightenment. Sati although not specifically the most accurate meaning is seen as the English translation of the Pali word Sati which is a more detailed concept than some of the simplistic definitions employed. It is however the closest Buddhist concept to what non Buddhists see as Mindfulness. There are two sides to Sati the first as one of the five mental qualities, and the second as the practise of Sati itself.Both aspects have key roles in the practise of Meditation. The five mental qualities are Mindfulness(Sati), Wisdom, Energy, Concentration, and Faith. In this context Sati in Buddhism in linked to remembering, and it is more a holding an "Awareness" of something in the Mind. "What, friends, is right mindfulness? Here a monk abides contemplating the body as body, ardent, fully aware and mindful, having put away covetousness and grief for the world. He abides contemplating feelings as feelings, ardent, fully aware and mindful, having put away covetousness and grief for the world. He abides contemplating mind states as mind states, ardent fully aware and mindful, having put away covetousness and grief for the world. He abides contemplating mind-objects as mind-objects, ardent, fully aware and mindful, having put away covetousness and grief for the world." Which ever definition is chosen what is clear to see are the two themes of abandoning what no longer serves, and developing a very high level awareness. This allows for the development of the state of existing but not clinging to life. An essential quality Buddhists of all sects especially Zen Buddhists must develop on the path to Enlightenment. It's these teachings that have become the basis for many of the practises of Mindfulness we have today. "researchers found that people who are heavily involved with a yoga practise had higher levels of mindfulness than people who were only slightly involved with yoga or who were not involved in a yoga practis." It's clear the value of Yoga practise as a form of Mindfulness practise is without doubt, and a there is an increasing level of research appearing in many Journals such as British Medical Journal who have featured Studies on the impact of Yoga Mindfulness practise to a full range of areas from Heart Decease to Stress Management in Surgeons. However the biggest influence on Mindfulness as a clinical intervention came from Jon Kabat-Zinn who deserves write up all by himself a founding father of modern Mindfulness. Dr Jon Kabat-Zinn is an American Professor Emeritus Of Medicine with specialism in Molecular Biology. During his studies at MIT he attended a lecture by Roshi Philip Kapleau which sparked him to look further into the subject of Zen Mindfulness. From this first inspiration came the hunger to study under more teachers in the area of Mindfulness from Thich Nhat Hanh and Korean Zen Master Seungsahn who was known as one of the finest Zen teachers as can be seen in this example of penetrating spirit and transmition to his students.It's these studies and his time at the Insight Meditation Society that lead to his creation of the Stress Reduction Clinic where taught what came to be known as Mindfulness Based Stress Reduction. His aim was to completely remove Mindfulness from its religious and Spiritual basis to allow a completely evidence based scientific practise to develop. In doing so he founded the Center for Mindfulness in Medicne, Health Care, and Society in Massachusetts. His eight week course provides an evidence based combination of Meditation and Hatha Yoga as a clinical intervention for many different Conditions. The course is designed to help the patient cope with Conditions ranging from Stress, Illness , and Pain right through Eating using what he calls "Moment to Moment" Awareness. He has published a number of books with his first book Full Catastrophe Living being a classic in field of Mindfulness-Based Intervention(MBI's). He has worked extensively around the World with many MSBR clinics being opened in many different Countries. The US Military as we shall see even has its own MSBR programs. It is his work work that forms the basis for the techniques we will look at next in many of our high performers. The end result was an intense 6 month program which was designed to focus on improvement within both the OODA and VUCA Models employed on the modern battlefield. This program featured elements such the one month long Aikido and Mindfulness Retreat known as "The Encampment" which features a high intensity combination of Aikido based Combatives and Mindfulness training designed to significantly increase performance through increasing the inner strengths of the Operator to the point where they were able to push through their own mental barriers, but what exactly were the kind of techniques used in this program? This is less of a technique and more of series of Drills known officially as "Inoculation Drills". Initially this was an exercise at the end of the Encampment which aimed to put Operators under an number of Pressure based situations which featured certain constrictions at the same time after executing a Parachute Jump at night. Operators were told to solve a number of problems against Time Limitations which forced them to think correctly under extreme Stress. You can use this technique in your own training to do exactly the same. Pressure situations which force you to adapt constantly while remaining Constantly while remaining calm under conditions of increasing Fatigue. It can be done with something as simple as a technique based Fitness Circuit or a full on Group Combat Situation. To illustrate this principle we will use a simple example of someone doing 50 Press Ups. A:Mentally Acknowledge you're about to face a challenging situation. "I am aware of what I face, I'm prepared I have trained for this, I remember my training this will be easy, I can do this because I know I have done it many times before"
B: Mentally Acknowledge the feelings of Discomfort are temporary in this moment "I know this will not last and it will end so I know I can and will keep going"
C :Identify the Pain "Right now I am feeling discomfort in x,y or z location and I know it is nearly over(reaffirming step 2 that it is a momentary situation" then refocus on the task. D:Compartmentalise by breaking the task into the smallest possible unit and focusing on technical elements meaning you're not doing 50 Press Ups but in that moment 1 Press Up. To do this use the Right Now Statement as follows "Right now I am doing 1 Press Up" work through the reps. This will help you tolerate or completely breakdown the pain. 2-LOOK around at your surroundings note what you see and then let it go. 3-LISTEN to the Sounds in your surroundings, note what you hear and let it go. 4-SMELL the Smells of your surroundings note what you smell and then let it go. The purpose of this technique is to note and let go without any reaction or judgement of your surroundings. During training you will taught to use this technique at regular intervals to center yourself and break the natural habit of ups/downs in negative thought patterns that occur during a normal day. One of the key indicators of the mentally resilient Operator was the presence of what was known as the 4 Pillars of Individual Mindfulness. These were key Qualities which enabled the Operator to most handle the demands of the chosen profession. 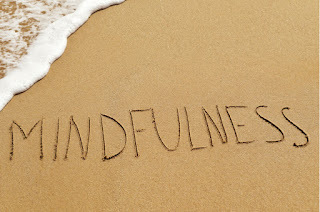 Individual Mindfulness was defined by Instructors in this program as "A flexible state of mind in which the Operator is actively engaged in the Present Moment, noticing new situations and sensitive to context". The 4 Pillars of Mindfulness were designed to actively protect against the Stress's of deployment situations, increase comfort with uncertainty and increase focus. The 4 Pillars form the "Individual" component of the Mindfulness in Action programs which also include group Mindfulness Strategies. So what are the 4 Pillars and how do you use them? You should be Mindful and Aware of the details in your Environment. You should be able to under pressure discriminate between the most important details. Use "Right Now" thinking to remain focused on what you're doing in the present right in front of you. Acknowledge that there are many ways to achieve an aim and be open to all of them as the Moment Changes. The only thing that is certain about the plan is that it will change. If you acknowledge that, and then expect it you will find find it becoming a Strength when you deal with uncertainty. Case Study 2:NASA, Mindfulion Leadership, Gravity Science and the "Space Stupids"
NASA as with other Space programs around have to cope with a unique set demands which have a an impact like other on the human mind and body. Supporting an Astronaut in Space demands support so specific and effective that it cannot fail. It is for this reason NASA has turned to MBI as another tool in mentally dealing with the demands of working in Space Environment. The name now famously given to the collection of demands and stresses faced by the Astronaut in Space is the "Space Stupids". Indeed Problems posed to Astronauts while in Space leave no margin for error with the result of a failure being death to the Astronaut. NASA has vowed never to lose an Astronaut, and this means they can employ only the most effective evidence based tools. Another problem posed is the limited size of the subjects available for sampling, this means many of the techniques devised are still studied mostly in Earth environments all be it with an attempt to add as many unique Stress's as possible. All in all this leaves NASA always facing the unknown of the ultimate pressure test in Space. As the famous saying goes the first casualty is always the plan. For a full history of Psychological research in Space you can read The Psychology of Space Exploration which outlines the History, Challenges and current Solutions to Space problems. At various points in History NASA has investigated and refined a number of techniques through research to integrate into its many many in depth training Modules. It is not the objective here to provide a complete overview of Research and Techniques that can be a subject for another time. I will providing techniques designed by key experts at different times to illustrate how MBI's are being employed for Astronaut support. Use these techniques to ensure you don't get your own "Space Stupids". NASA recognised that failure did indeed exist in the form of Catastrophic events which cause the loss an Astronaut from which there is no return. It is this failure that NASA states will never be an option. One of the most famous incidents in the history of NASA is the Apollo 13 Mission which is one the best examples of Leadership and Problem Solving under pressure. it is also where this technique came from as under the Gene Kranz they did indeed avoid failure. A study of the life and lessons of Kranz is one of the best of Leadership in general. It is from him we discuss our first technique which is aimed controlling our initial fear reaction. There is a crucial split second moment in the resolution of any Crisis that determines how that Crisis will unfold, and that point is in itself the exact moment we accept that we do in fact have a Crisis to deal with. It is what you or team do in the moment of this acceptance, and the time after it that will determine the ultimate outcome. One of the areas MBI's have shown the most clinical promise is at the moment of controlling the Fear reaction by allowing for more effective Heart rate control combined with reduction in the emotional impact of an immediately negative situation by changing perception quickly. Is is also one of the finest examples of MBI on a leadership level. The aim of this technique is to put on a stop on any Catastrophic thinking or reactions which can be natural once a problem is accepted. It is crucial that negative Emotions are kept in check, and that you are mindful that even in a problem situation you're starting from a position of "good" as no situation is completely bad. You can apply this situation to yourself as an individual or as team, and this links in to basic awareness which was mentioned as part of the earlier definitions of Mindfulness. The key here was to direct the attentions toward what was good about the situation already, and you can by asking the a simple question"what have we got that's good?" or "what have we got that's working for us right now?" or "what is good about my problem?". In order to respond effectively to the Crisis be mindful of what you already have in your favour at the time. Kranz was known for telling his team to "keep their cool" often. He wanted his team to avoid the panic moments and distorted thinking that can come with crisis. The aim is not to focus on solving all of the problems because you can't do that. The aim is to take become Mindful of what you personally can solve then start with that. If you have a group you get in whoever you need to solve what you can't. Take the pressure off yourself to solve every problem ask yourself "What can I do right now?" This is the step where you focus on what you can control. It's a direct focus on the actions you would be taking toward the end solution. If it does not contribute to your end solution you don't work it. In the case of Apollo 13 crew Kranz and his team had the task of working the problem with exactly the same tools the Astronauts had. Why did he do that? he was Mindful that any solution which involves tools the Astronauts had no access to was not a solution at all. It was through this Mindfulness of the situation that his team worked the problems most directly facing the Astronauts. Build on what you know, and building on what you can do. This strategy is the same in any problem your or your team face. One of the first techniques is to block out Sleep and Awake time. This may seem obvious, but is maybe the rest of the solution which isn't. Astronauts are required to carry out a non judgemental inventory of themselves around these times. The aim here is through awareness the Astronaut will be able to firstly remove the negative blocks and second direct intention towards sleep. You train the Brain to become habituated to periods of Sleep to the point were Astronauts will set individualised Alarms to notify them it is now time to begin the "Pre-sleep Routine".Once the Brain has designated a period of time as Sleeping time this is not disturbed. Astronauts are also directed to do the opposites. They are required to take an inventory of themselves in the hours directly after waking. Support is then developed in part around these evaluations. The challenge here is that this is all on the Astronaut as once they're on flight this training cannot be done, it is down to the Astronaut to deploy his or her training. However in collecting this Data for processing in more in depth fashion Astronauts wear an Actiwatch Spectrum System which ensures Astronauts are hitting targets for healthy Sleep duration. Astronauts are required to undergo the Reaction Sleep Test which is a 5 Minute test designed to access the Astronauts level of Circadian disruption. Key data from this test allows mission control to evaluate the effectiveness of Sleep management programs aboard the ISS. One of the key areas investigated by Goddard Space Flight Center is the effect of prolonged Stress in Space. NASA have set the 1YM(one year mission) to investigate the effect of prolonged exposure to Space. Investigations at the Goddard Space Flight Center have focused on techniques ranging from Neuromapping to basic Journal Writing. One standout area which was noted was the impact of prolonged Stress on Sleep duration and quality. As a result Astronauts were taught Mindful Breathing to manage Stress effectively. As with other methods the aim is have these strategies become Habit. One of the most simple Breathing routines investigated by the Goddard Space Flight Center is 4 count Breathing(or Tactical Breathing in Special Forces Terms). Astronauts are taught to use this method of Breathing for 5 minute time periods 4 times minimum per day. The reasoning is simple to interrupt regularly any Stress patterns before they develop. Instead of deploying this as a stress reduction technique the aim is in not allowing those thoughts to develop in the first place. Its a simple technique as follows first breath in for a count of 4 Seconds, hold the breath for 4 Seconds and then breath out for 4 Seconds. Low intensity physical activity can be combined with Mindful Breathing in many ways. One of the best is to use your Mindful Breathing periods as periods of Mindful Walking. Another method used by Astronauts is what is called "Mindful Moves". You can do that by choosing one Yoga movement which you can do at regular intervals through your day. You can even choose one or two, but you must elevate your Pulse gently with low level of activity. Astronauts perform 30 minutes Yoga flows per day as part of daily training. NASA has deemed the MAT technique so important that they now attach a Yoga Specialist to every training team. One Scientist who became famous for is Yoga practise at NASA is Scott Lewiki who describes the impact Yoga had on him as an outlet for the demands of is daily work. In 1989 NASA approached Dr Jeffrey Thompson with a rather unique project proposal. Dr Thompson is an expert in Acoustic pacing frequencies within Music as they relate to clinical interventions in a number of areas. When NASA approached Dr Thompson with a view to establishing the possible application of Space Sounds. They gave Dr Thompson complete access to the recordings archive of Voyager 1 and 2. What he came up with were a number of Guided Meditations which you still listen to as part of your own Mindfulness training. The end result was a series of recordings which is used in 20 minute daily Meditation Sessions. You can still use the complete Symphonies of the Planets for your own Meditation. As I said at the start of this post the intention was not to provide any new idea, but to give you yourself as a reader some of your own while sign posting you to areas of ongoing research. For more information on techniques, references or any specific questions you can contact me via the site.